Viknesh Vijayenthiran August 10, 2016 Comment Now! 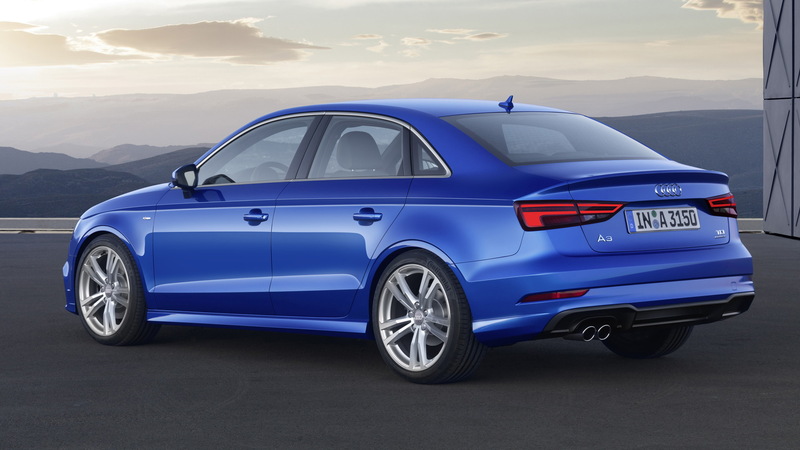 Audi’s entry-level model in the United States, the A3, receives some significant updates for the 2017 model year. The current-generation A3 still seems like it only arrived yesterday, but the car actually made its debut overseas in 2012 and is now at the midway point in its life cycle—and in Audi tradition that means it’s time for an update. The changes made to the A3 are significant as they include not only exterior styling tweaks but also new tech features in the cabin. Some of the powertrains have also been changed. 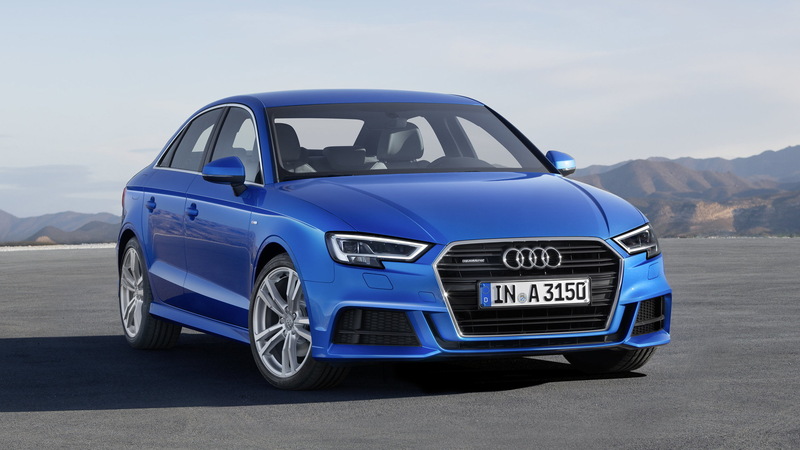 The front-wheel-drive A3 models have ditched their turbocharged 1.8-liter engines in favor of more powerful turbocharged 2.0-liter engines. Output is 186 horsepower and 221 pound-feet of torque, up 16 hp and 21 lb-ft. 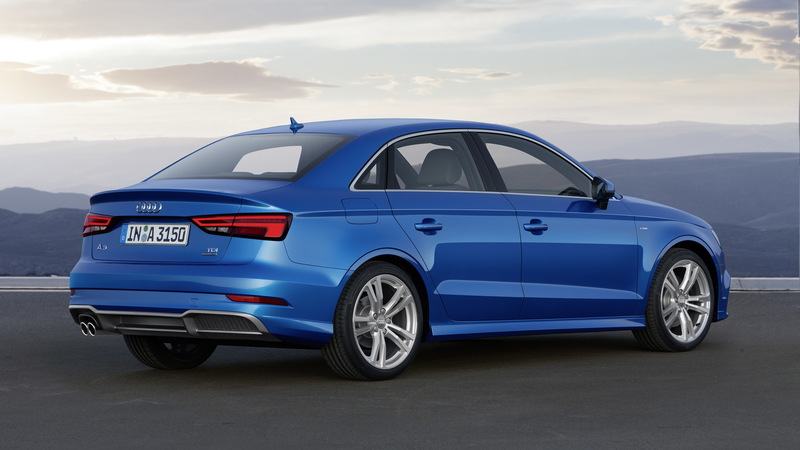 The all-wheel-drive A3 models continue with turbocharged 2.0-liter engines delivering 220 hp and 258 lb-ft. Those seeking more oomph can upgrade to the S3 which also features a turbocharged 2.0-liter engine but a more potent 292 hp and 280 lb-ft.
And for the eco-minded, there’s still the A3 e-tron Sportback plug-in hybrid which combines a turbocharged 1.4-liter engine with an electric motor to produce a peak 204 hp and 258 lb-ft. The electric-only range of this model as rated by the EPA is 16 miles. While the updated A3 continues to offer diesel powertrains overseas, the fallout of the recent emissions cheating scandal means there’s no diesel here. All A3s in the U.S., apart from the front-wheel-drive models, miss out on the new 7-speed dual-clutch transmission offered overseas. Instead, most A3s here stick with a 6-speed unit. A 6-speed manual transmission remains the standard option, though. You’ll be able to spot the updated A3 thanks to new lights at both ends and a more pronounced grille. There are also five new colors to choose from as well as new wheel patterns. The wheel sizes range from 16 to 19 inches in diameter. In the cabin, Audi has added its digital instrument cluster, as an option. A second screen sits at the top of the dash and forms the heart of the car’s infotainment system. Audi has also updated the menu system of the infotainment system, known as MMI, so that it now operates more like a smartphone. Inputs are mostly done via a rotary dial located near the gear lever. 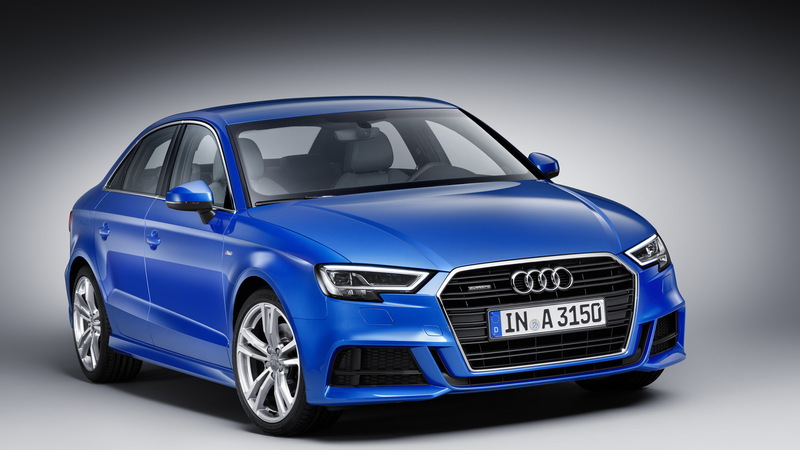 The digital instrument cluster isn’t the only new tech being offered on the updated A3. Also available are some electronic driver aids including lane departure and cross traffic warning, automatic braking and adaptive cruise control. Models overseas also get Audi’s Matrix LED headlights that enable you to leave your high beams permanently on. To avoid blinding other drivers, camera-based systems detect oncoming vehicles and actively block out parts of the light beam. All prices include a $950 destination charge. 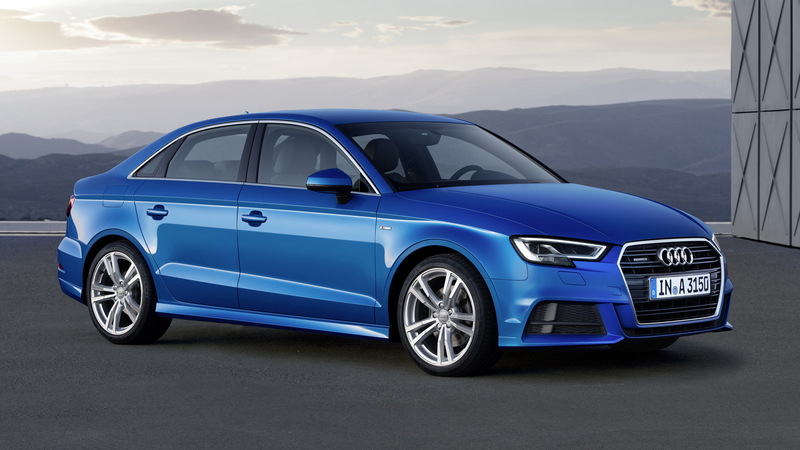 For more on the Audi A3, read the in-depth reviews over at The Car Connection.